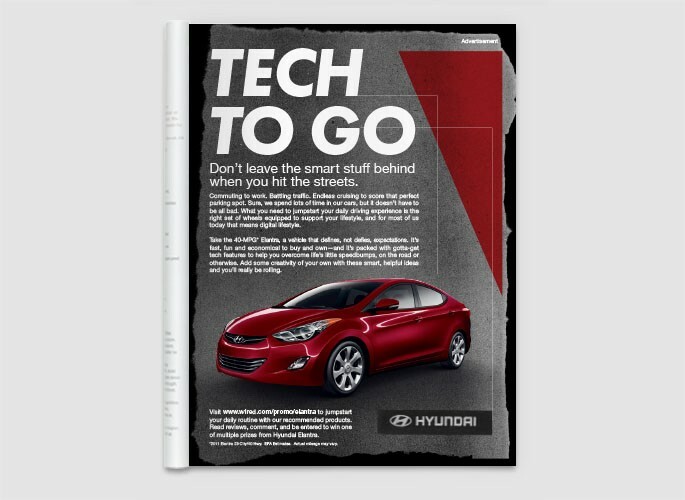 Through a unique, cross-platform initiative WIRED showcased Hyundai Elantra’s ‘Snap Out Of It’ messaging strategy. Print: WIRED developed a custom single-leaf-insert designed to showcase tech that helps you overcome life’s little speed bumps. 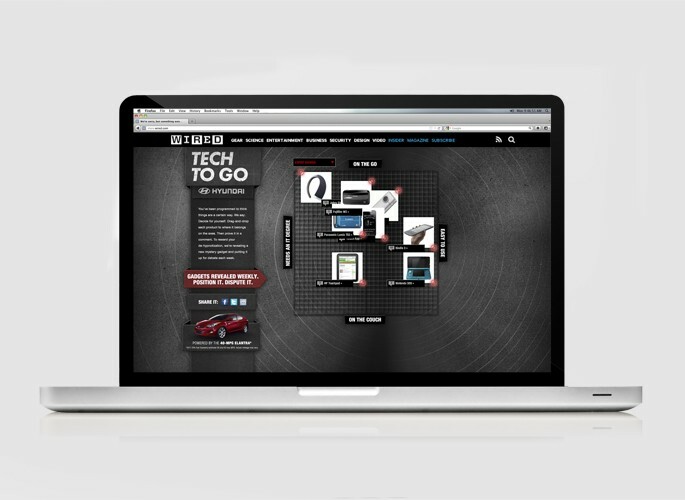 Digital: A custom ‘Tech To Go’ microsite was developed to showcase gadgets that serve your mobile lifestyle in unexpected ways. A series of weekly gadget unveilings took the tech pulse of the WIRED.com community.